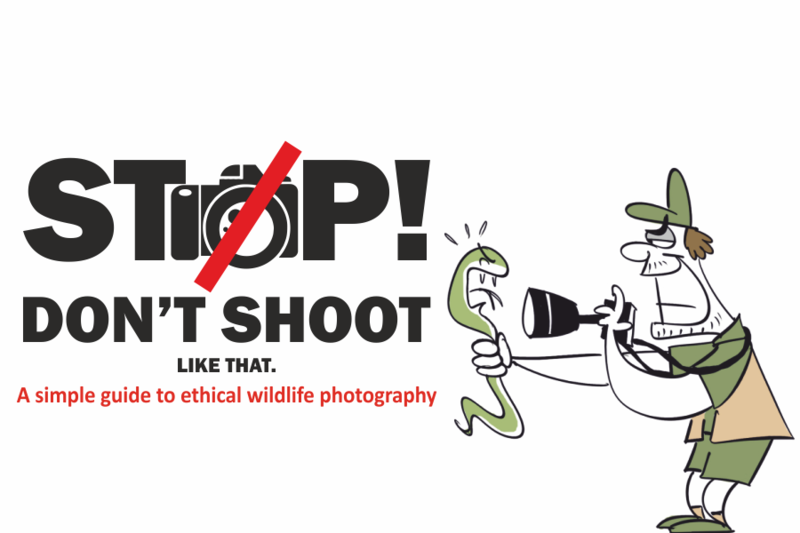 Forty-six species of mammals were documented here during a camera-trapping study conducted between 2007-2009, 30 species from camera-traps alone. It turned out that for the first time in the world, seven species of cats were recorded from just one site. The Jeypore-Dehing Landscape is located in eastern or Upper Assam. It comprises three large blocks of forest (Jeypore, Upper Dehing West Block and Upper Dehing East Block) and several forest fragments. 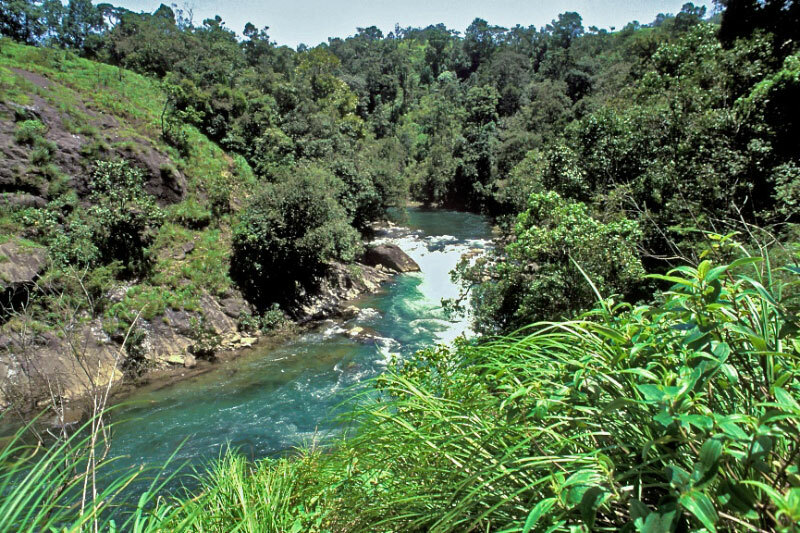 The reserve forests lie within a mosaic of oil and coal mining grants, tea plantations, agriculture and settlements. The forest type is lowland Assam Valley Tropical Wet Evergreen forest (Dipterocarpus-Mesua) and together stretch over roughly 600 sq km. The landscape is part of the Dehing-Patkai Elephant Reserve and 111 sq km is protected as the Dehing-Patkai Wildlife Sanctuary since 2004. 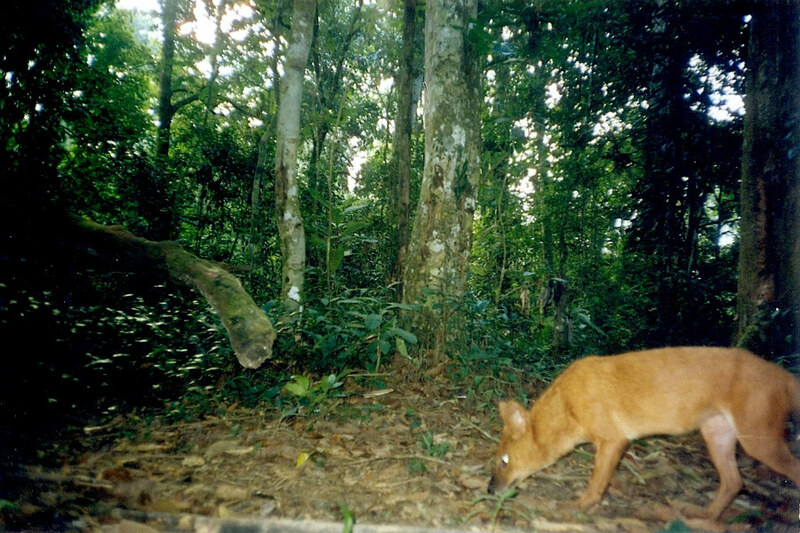 Forty-six species of mammals were documented here during a camera-trapping study conducted between 2007-2009, 30 species from camera-traps alone. 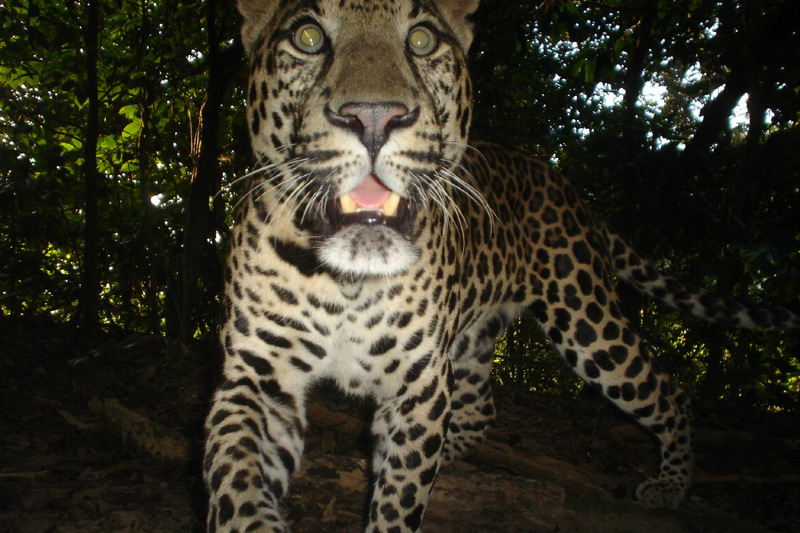 Most of the carnivores (19 species in all) would have gone unrecorded if not for camera-traps. It also turned out that for the first time in the world, seven species of cats were recorded from just one site. Here are pictures from the exercise, and the reason why India’s many reserve forests deserve more research and conservation attention. 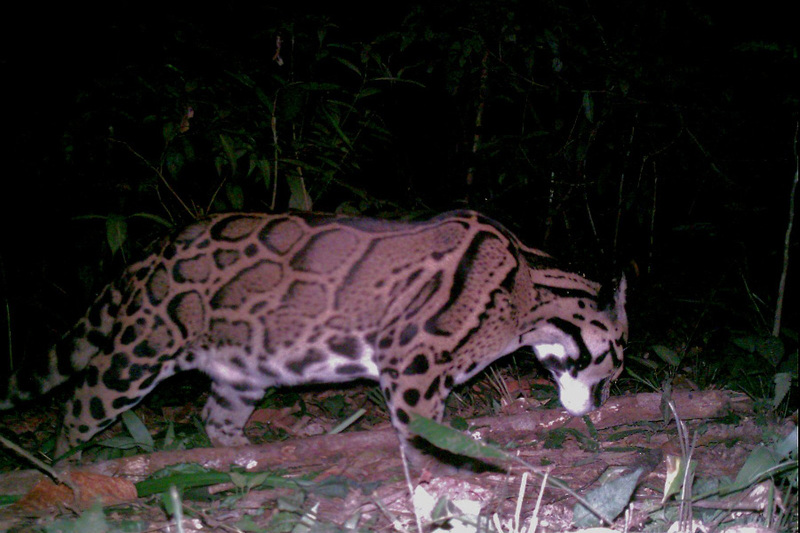 The first clouded leopard photo on the project. 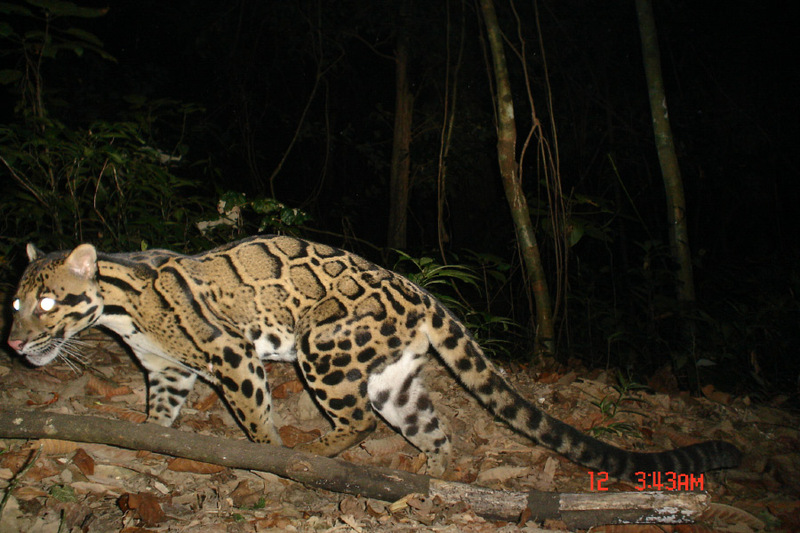 A clear photo of the clouded leopard from a Sony P-41 35 mm camera, rigged up by Stephen Hogg of WWF-Malaysia. 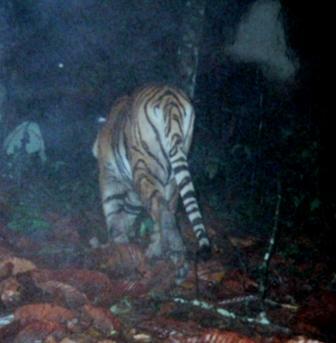 In 2007, we got two consecutive photos of only this tigress throughout the landscape. Leopards caught from tea estates around Upper Assam are released into the Jeypore-Dehing forests and are not monitored thereafter. 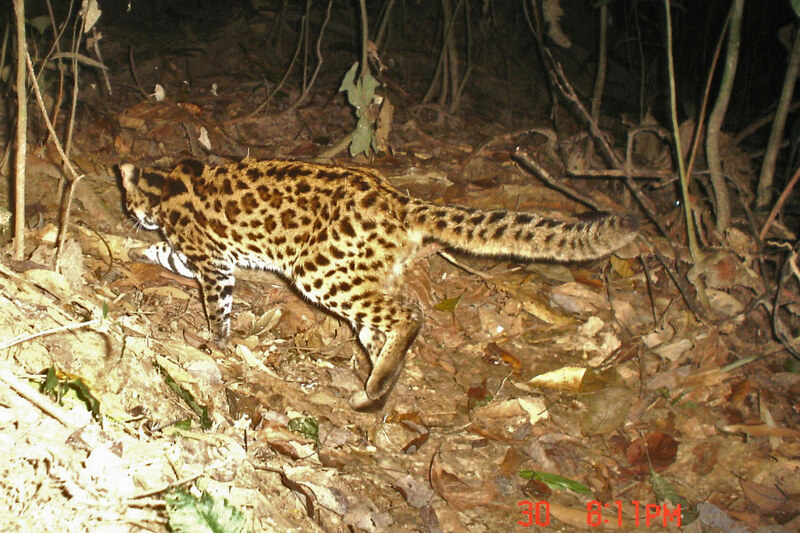 The marbled cat has a distinctive long, bushy and cylindrical tail. 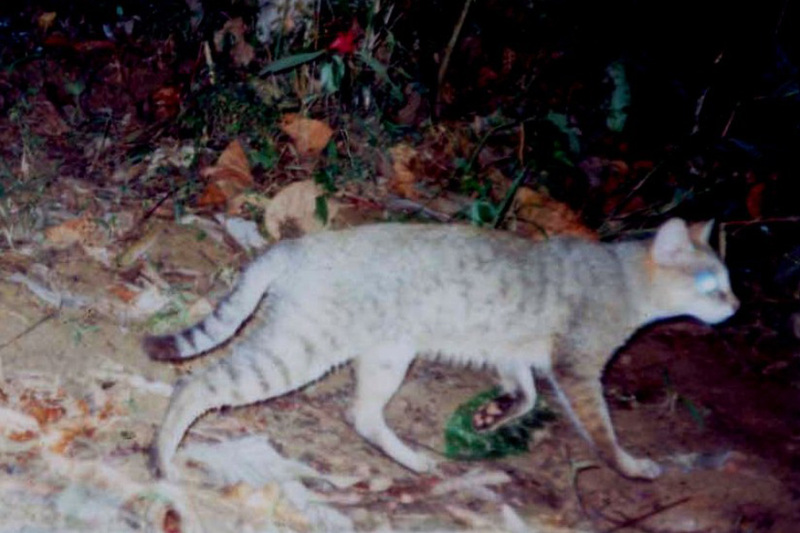 The golden cat is not commonly photo-trapped in the Jeypore-Dehing forests. Most commonly seen and photographed small cat, the leopard cat. 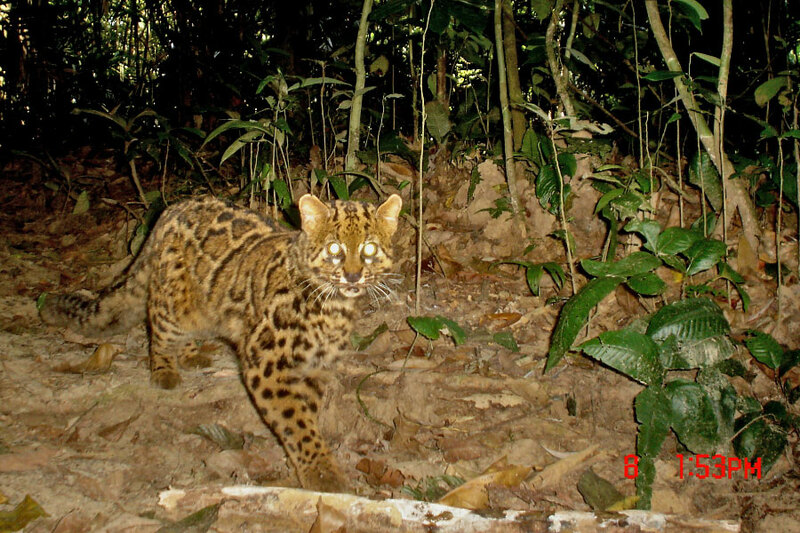 The Jungle Cat is not commonly found in these rain forests. 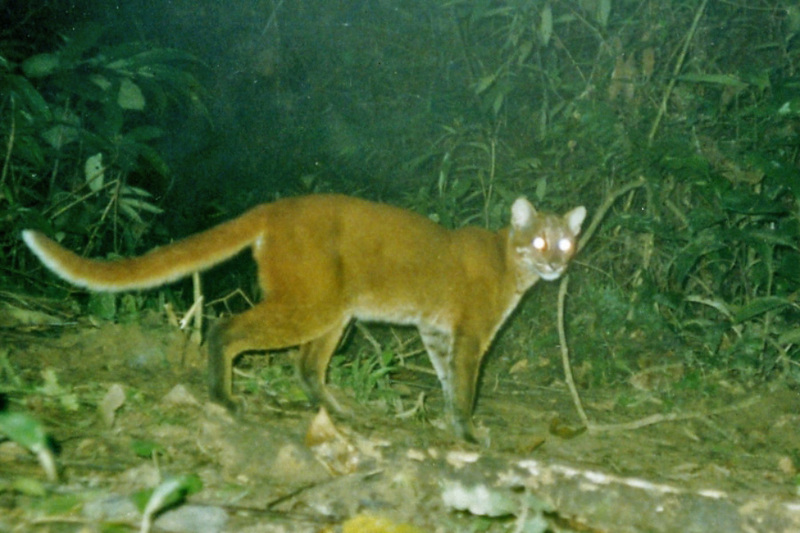 Tracks, kills and photos indicate the existence of at least two packs of dholes along major forest tributaries of the Buridehing river. 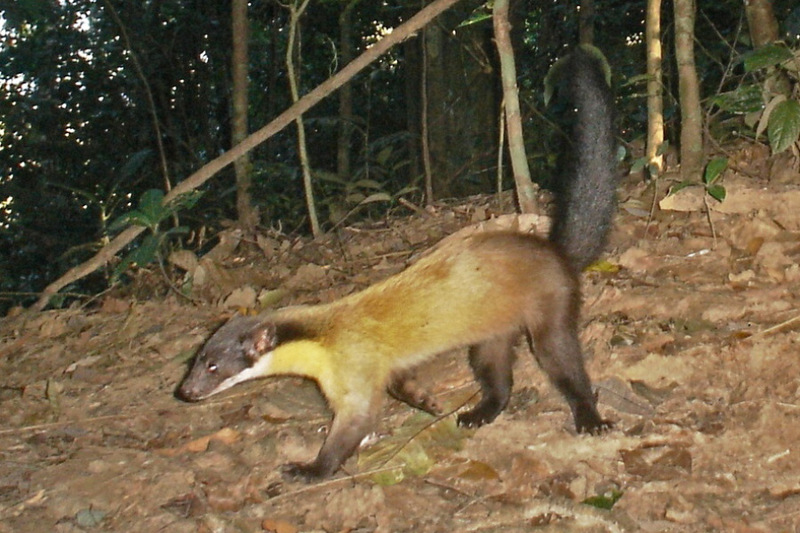 Yellow-throated Martens, one of the few carnivores encountered during the day. 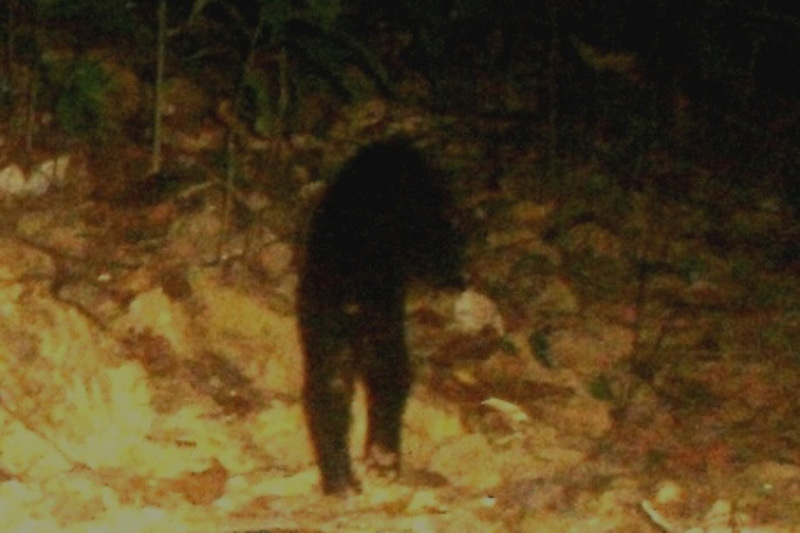 The first photo-record for Assam, a Malayan Sun Bear in the Jeypore-Dehing Forests. 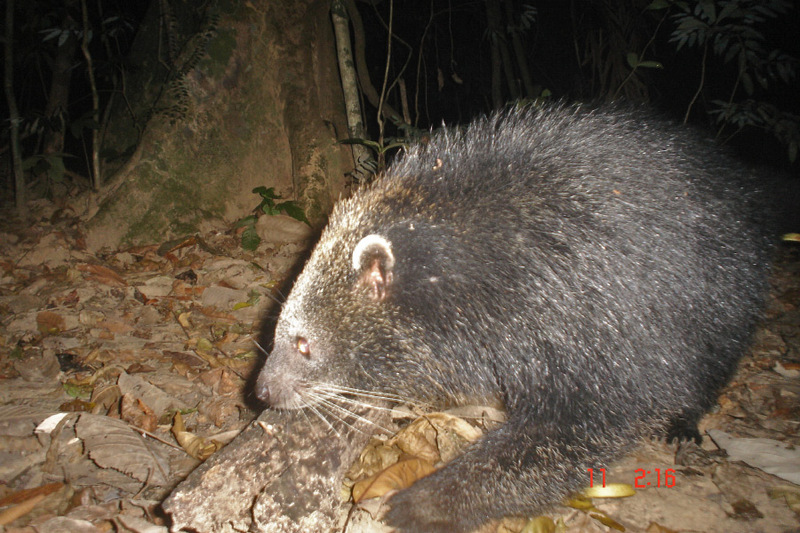 The only photo of a Binturong in the Jeypore-Dehing forests in over 3000 trap nights. 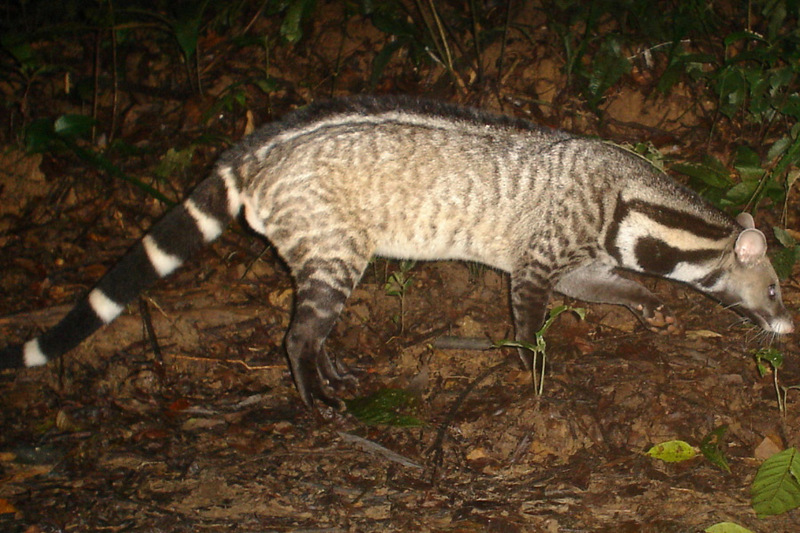 The Large Indian Civet, fairly common on camera-traps is distinguished by the five thick triangular black bands on its tail. 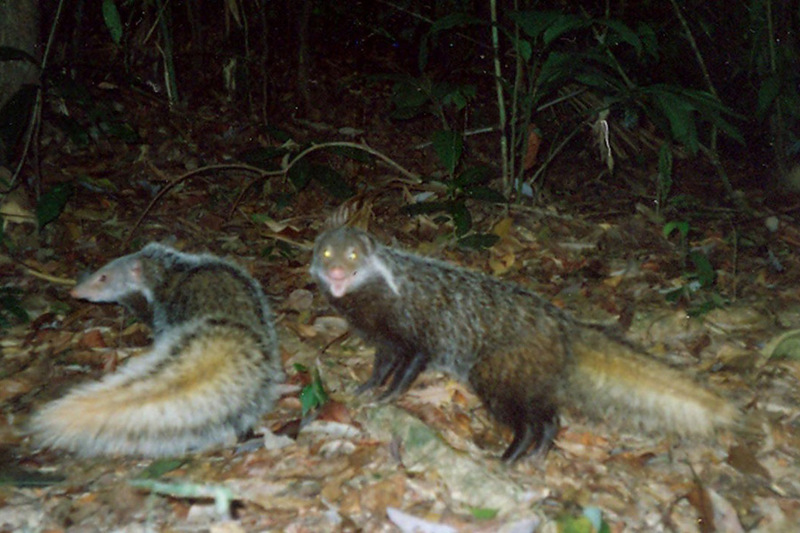 Crab-eating mongooses are often seen in pairs and sometime in groups of three or four. 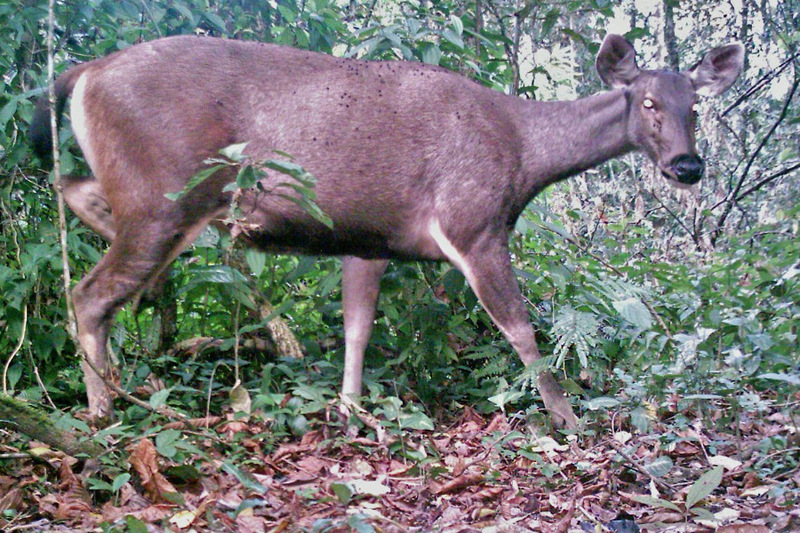 The Sambar is a rare sight in the Jeypore-Dehing Forests. 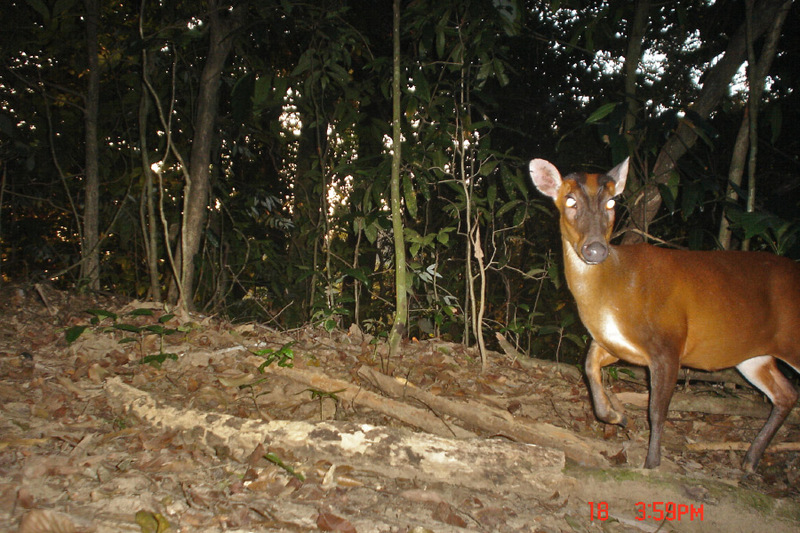 Muntjac or Barking deer occur throughout the landscape. 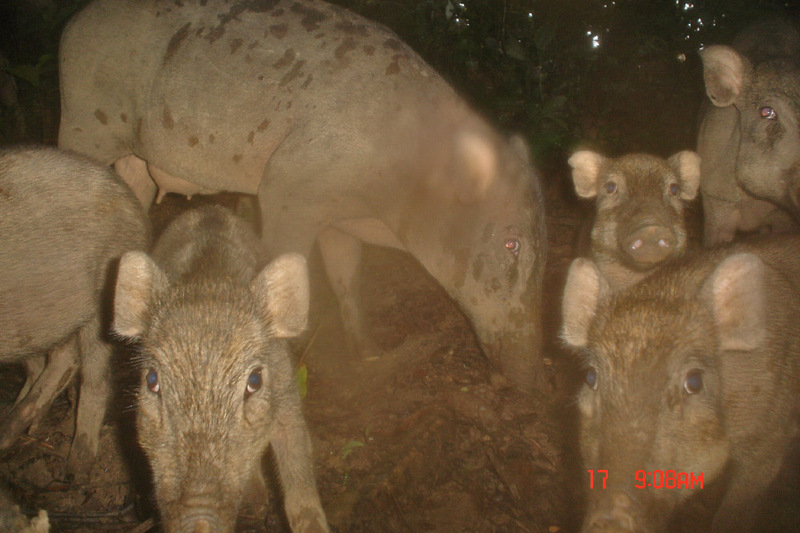 A family of Wild Pigs make an occasion of the unexpected photo op. 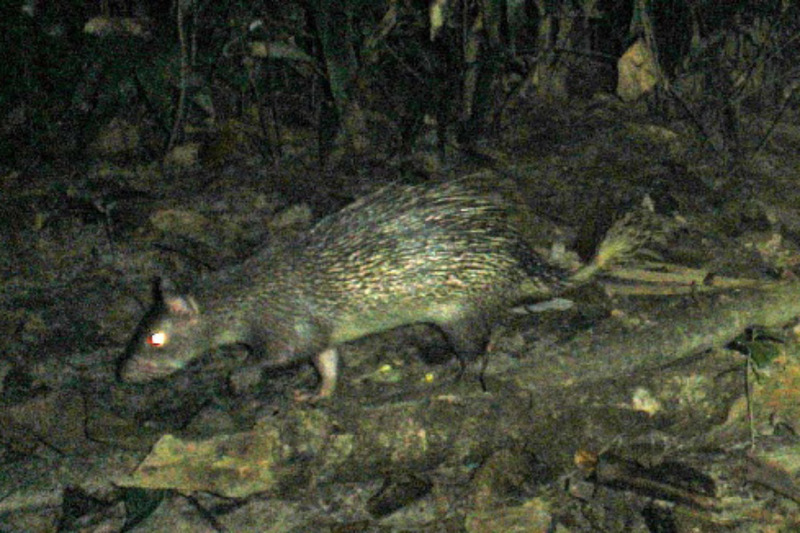 The Malayan Porcupine is the largest rodent in the region. 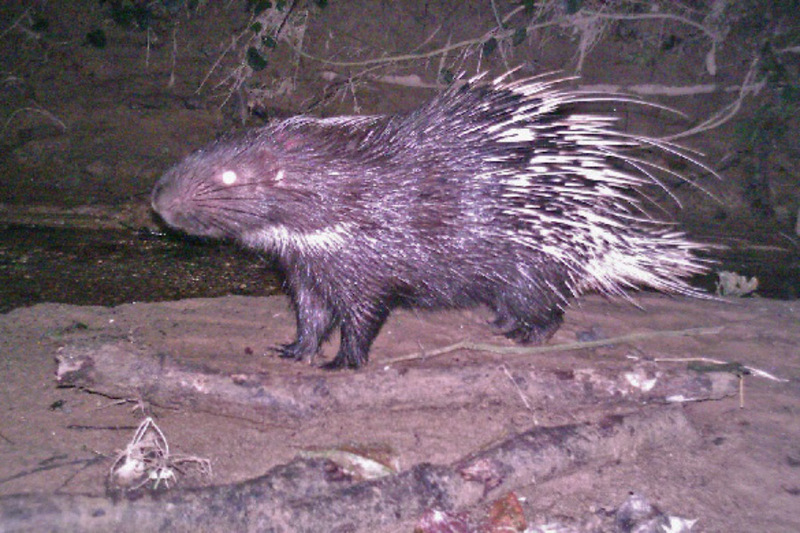 Within India, the Brush-tailed Porcupine only occurs in Northeast India. 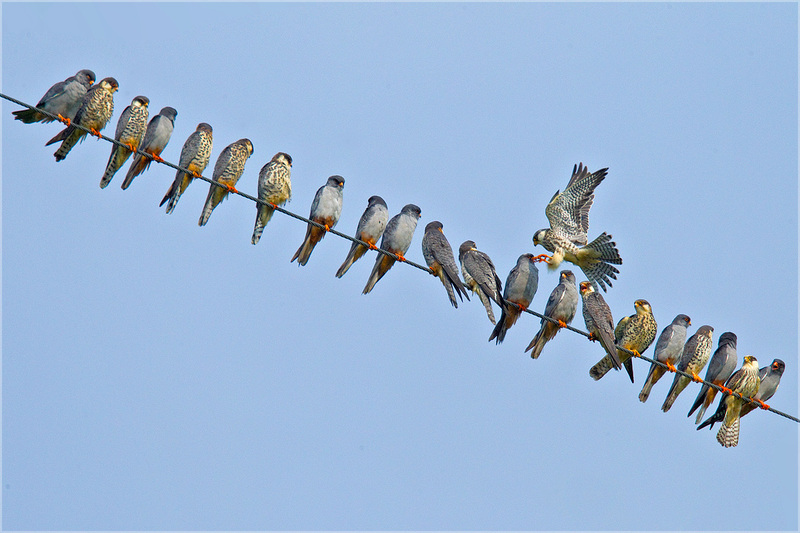 Kashmira is a wildlife biologist working in Northeast India. Her PhD research was on hoolock gibbons; and she has carried out mammal documentation studies in the Jeypore-Dehing Landscape of Assam and in Balpakram National Park of Meghalaya.